Published: Dec. 10, 2017 at 04:21 p.m. 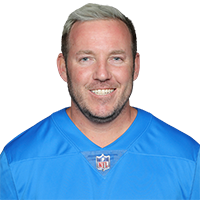 Published: Nov. 24, 2016 at 03:44 p.m.
Lions kicker Matt Prater makes a game-winning field goal to give his team a 16-13 win over the Minnesota Vikings. Published: Nov. 6, 2016 at 04:11 p.m.